Star Pubs & Bars are making a £1.26m investment in South Yorkshire community pubs to transform them into traditional locals - including one in Rotherham. 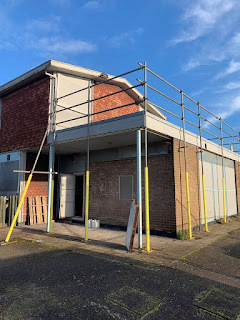 The Heineken-owned pubco has recently been involved with revamps at The Parish Oven in Thorpe Salvin and The Masons Arms in Thorpe Hesley, and now work is well underway at The Lord Reresby in Thrybergh. As many as 25 new jobs are expected to be created by the new investment, and the pubs to be transformed also include The White Hart and The New Inn in Sheffield. Plans were submitted back in 2015 for changes at the Thrybergh pub so that it could accommodate 50/60 covers. All of the pubs will receive complete refurbishments to transform their décor and make them contemporary and comfortable. Kitchen refits and the creation of dining areas will enable them to introduce food whilst barista quality coffee machines will be added. Cellars at the pubs will also be upgraded with SmartDispense technology to ensure consistently good draught beer and cider, and new screens installed at The Lord Reresby to show Sky and BT sports. The exterior of the Vale Road venue is also getting a new look and landscaping, outside space and a play area all part of the revamp. Grant Morgan-Tolworthy, regional operations director for South Yorkshire at Star Pubs & Bars, said: "To thrive community locals must keep pace with customers' changing needs and expectations. Sheffield's vibrant city-centre pub and bar scene is testimony to the benefit of investment. The expenditure will bring them up to date and broaden their appeal so that they're sustainable for the long term." Recruitment is underway for both part time and full time jobs at the Rotherham pub. The Reresby family originated in Derbyshire but they acquired the estate at Thrybergh, which is now Rotherham Golf Club, under Henry III. In 1316, Sir Adam Reresby became Lord of Thrybergh.